While New York and New Haven continue to bicker over who supplies the world’s best pies, those in the know understand you don’t have to travel outside Westchester County to enjoy delicious pizza. Whether it’s traditional wood-fired or smothered in pineapple, here’s the slice on the best pizza near Westchester, NY! Baking pies the Neapolitan way since 2012, Burrata uses only the finest ingredients and toppings to create their traditional, wood-fired masterpieces. Located in Eastchester, their sunny dining room serves as a cozy backdrop to the massive pizza 850-degree oven that serves as the heart of the restaurant. Using regionally-sourced ingredients, their famous burrata cheese pairs perfectly with their unique list of toppings including: porcini rubbed Berkshire pork ribs, roasted beets, and pancetta aged parmigiana to name a few. Along with their famous pies, Burrata also offers an exquisite selection of insalata, pasta, and wines from their full bar. 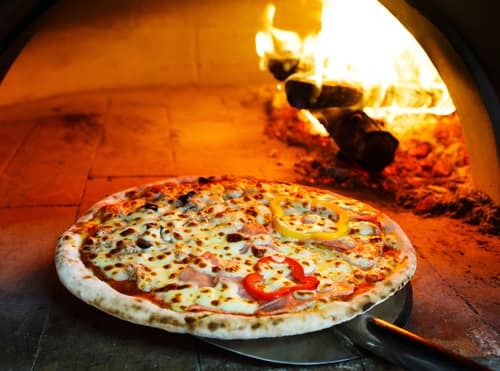 Voted Best of Westchester six years in a row, every detail that goes into creating their famous wood-fired pizza is considered right down to the basil that tops their margherita. Offering two locations in Mamaroneck and Hartsdale, customers are never too far from these honest-to-goodness traditional Southern Italian delights. Dine in or prop up your feet and let Frankie & Fanucci come to you. They also host family-style dining for groups. Perfect for a special family gathering or company holiday party. Enjoy from a huge list of fresh, homemade options like: ravioli pomodoro, pear and gorgonzola salad to their popular, “Nonna’s meatballs”. Sometimes you’re just in the mood for a hot, tasty pizza without a lot of backstory. In those moments, Pizza Planet is one of the best. Providing eight locations throughout Westchester/Southern Connecticut, owners Mike, Joe, and Frank Rocco took their collective experience of growing up in a Bronx pizzeria to share with their neighbors in the suburbs. 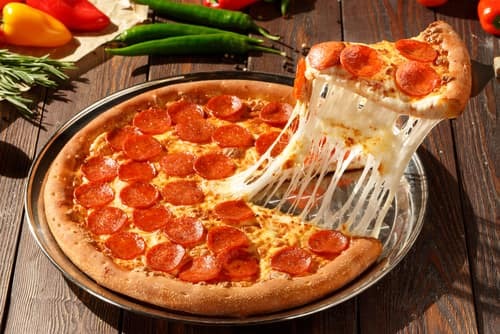 Their dough is made fresh in-store everyday while customers can also enjoy a wide selection of salads, subs, calzones, and platters that are sure to satisfy everyone in your party. Sticking to tradition while embracing the 21st century, customers can now order online or through their simple-to-use mobile site. Savor These Great Spots Today! Now that we dished on some of our favorite pizza near Westchester, NY, we think it’s time you go and try them out for yourself! Stop into any of these fantastic pizzerias or go online to order some pies today!